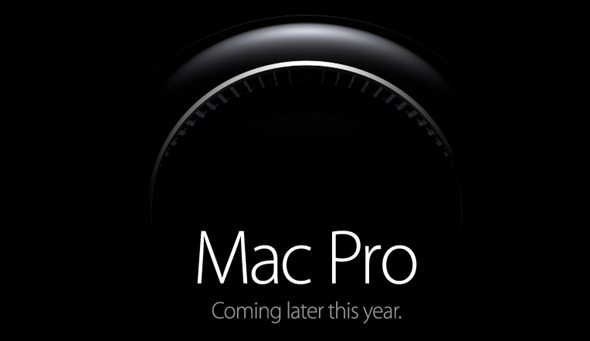 For many in the industry, the Mac Pro was on its way out, finished. Indeed, Apple’s desktop computer aimed at the company’s highest-end customers had not seen an upgrade for a number of years, until now. Apple has just unveiled a radically redesigned Mac Pro that does not only look completely different, it has greatly increased hardware specs too. And as usual, we’ve got all the details right after the jump! The new computer features a radically redesigned case, walking away completely from its traditional “desktop tower” design. 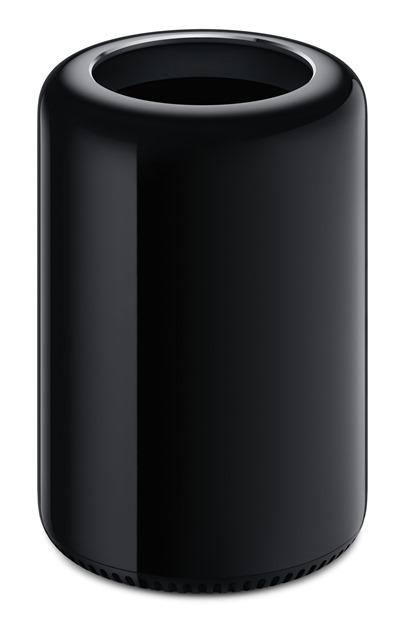 At a fraction of the size of the previous Mac Pro, the new device sports a shiny cylindrical black enclosure with beautiful rounded edges. The insides seem to be quite well crammed into a much smaller space, with two visible heatsinks to keep the machine cool. Despite the smaller form factor, Apple has not at all sacrificed on the hardware specs: indeed, they are massively improved when compared to the current model. The new Mac Pro is packed with current-generation Intel Core Xeon processors, ECC memory, Flash internal storage and support for Thunderbolt 2. There are also two GPUs, more than doubling the performance of the previous model and bringing support for 4K displays for the first time ever. Last but not least, this is the first of Apple’s Mac models to be assembled in the United States, almost a decade after the last Mac rolled off Apple’s American assembly line in 2004. This builds on Apple’s earlier promise to bring the manufacturing of Mac computers back to US shores, amid recent concerns among consumers and human rights groups over the welfare of the workers who assemble Apple products at Apple’s overseas contractors. Hopefully this is the beginning of a trend to bring more Apple products into factories closer to its American customers. As for pricing or availability, nothing was disclosed today, other than the assurance that we will see the revamped model hit shelves sometime later this year. This announcement has taken many by surprise, only with reports popping up over the last few weeks. The new desktop computer was one of the announcements at Apple’s annual Worldwide Developers Conference, currently taking place in San Francisco, California. The new MacBook Air with all-day battery life is also a thing of beauty, but would’ve been great if it had a Retina display.